Cooking at home can bring a family together, improve your health, and even help your monthly budget. Thing is, it can be hard to find inspiration for new recipes and dragging yourself to the grocery store at the end of a long day of a work isn’t most people’s idea of a good time. This is part of why meal kit delivery companies have become so popular in recent years. 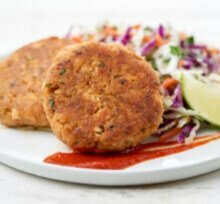 These companies provide customers with a rotation of unique, healthy and delicious recipes week after week —helping you get rid of the monotony and bring your homecooking to new levels. 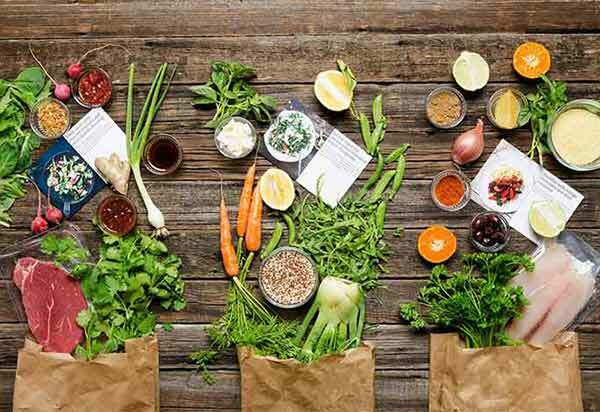 One of the biggest names in industry in recent years has been Blue Apron, but Sun Basket is also a heavyweight contender with fresh, organic ingredients and beautifully-crafted recipes. Which company builds the better box? Let’s take a look. One of the biggest names in the meal kit delivery business is Blue Apron, and has been something of an introduction to the industry for many consumers. The company has a stated vision, which it says is about “building a better food system,” through teaming with sustainable producers to ensure premium ingredients. Call it a vision or not, it’s a sound recipe for success and a top-flight product. Sun Basket features fresh, organic produce and recipes that were prepared by award-winning chef Justine Kelly, with the help of a team of nutritionists. The recipes feature dishes like “shrimp tacos diablo” and “saigon chicken vermicelli bowls” and you can build your orders around a gluten-free, paleo, or veggie diet. For Sun Basket, the goal is to promote clean eating, flavorful meals, and sustainability. This isn’t your average home-cooking, to put it lightly. Which Meal Kit Provides a Better Service? Good ingredients aren’t just good business for Blue Apron, they’re also part of “building a better food system,” according to the company. 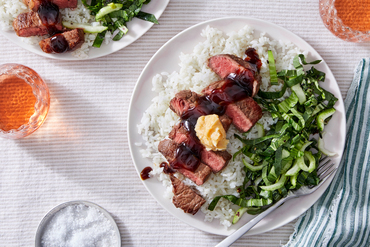 Blue Apron partners with a number of sustainable suppliers in order to ensure high quality ingredients, including non-GMO produce an antibiotic and hormone free proteins. In addition, the company’s seafood has been recommended by Seafood Watch, the sustainable seafood advisory list. The company also features a large amount of USDA-certified organic ingredients. What does all this mean for you? This attention to detail by Blue Apron helps ensure a higher quality product to each consumer, whether or not you sign on to a “vision” or mission statement of any sort. 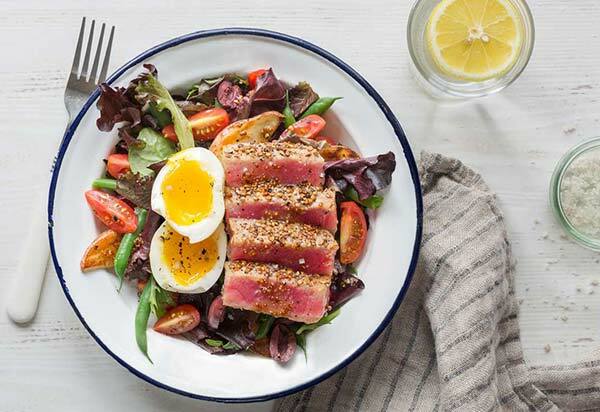 Like Blue Apron, Sun Basket also has a vision of sorts, and is focused on three core values - clean eating, flavorful meals,m and sustainability. The company is recommended by the Seafood Watch for the fish and seafood the company provides. The company takes it a step further though with procure that is more than 99% certified organic. The company has a no-GMO policy and all of the meats and poultry are antibiotic and hormone free. This approach also extends to the dairy products, which are organic, and the eggs, which are organic and pastured. There is also plenty of recipes which you can decide to order with organic and grass-fed chicken and pork. Great ingredients aren’t just a policy for these companies—they’re part of a mission. Sun Basket comes out ahead here though, due to the fact that the company has made its menu almost entirely organic. With Sun Basket and Blue Apron you’re getting a per-serving price point that is easy to keep track of. 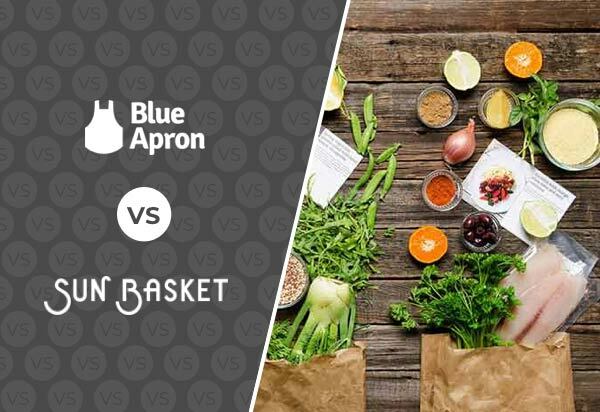 Sun Basket does have a higher per serving cost especially if you factor in shipping, which is free on Blue Apron once you order more than 2 recipes per week. With Blue Apron there is also an incentive to purchase more, as the per serving price drops as you order more servings. It’s not a night and day difference here in price, but with Blue Apron there’s incentive to order more and the included shipping for 3 servings or more can make a big difference. Part of the fun of ordering a meal kit is that every week you get a new batch of recipes to choose from and a whole slew of new ingredients to discover. Blue Apron has a long list of easy-to-make, delicious and healthy recipes, but the options are more limited than other companies. With the 2-person meal plan you get 6 options per week, while on the family plan there’s only 4 meals per week. With Sun Basket, you get to pick from 18 meal options per week if you’re on the classic menu and 6 on the family plan. 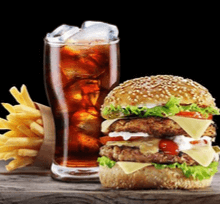 Both companies put a real emphasis on keeping the recipes simple, with most of the offerings taking only 20 minutes, 30 minutes tops to put together. Both companies keep the recipes simple, with easy to follow steps and illustrative recipe cards. Sun Basket simply has a lot more options each week. Shopping has changed in recent years, with consumers looking to not only make a purchase, but to put their money towards a good cause. Most meal kit companies got the memo, and put a real emphasis on green policies. A big part of Sun Basket’s “values” is the use of 100% recyclable packaging and virtually all organic produce. The company also supports low-impact fishing and farming as well as sustainable crop rotation. Blue Apron makes it very easy to recycle the packaging, both on your curb or in your local recycling center. It’s part of a mission to create a better food supply chain, and while that’s an awfully lofty goal, if sustainable, local, farm to market sourcing is important to you, then Blue Apron has you covered. Both companies make it easy to recycle the packaging, but Blue Apron appears to have a more fully-formed, holistic approach to environmentalism. Life is a bit unpredictable and there will be times when it’s not super easy to plan ahead. On Blue Apron you can skip any meal order up to 5 weeks and cancel your membership at any time without advance notice. You can change your plan at any time with Sun Basket, and the company allows you to change or cancel your subscription at any time. The meal plans are also more flexible when it comes to the ingredients, helping you keep a paleo, gluten-free, or vegetarian diet. When it comes to cancelling or freezing your order, both companies are customer friendly and won’t make you feel trapped in your membership. 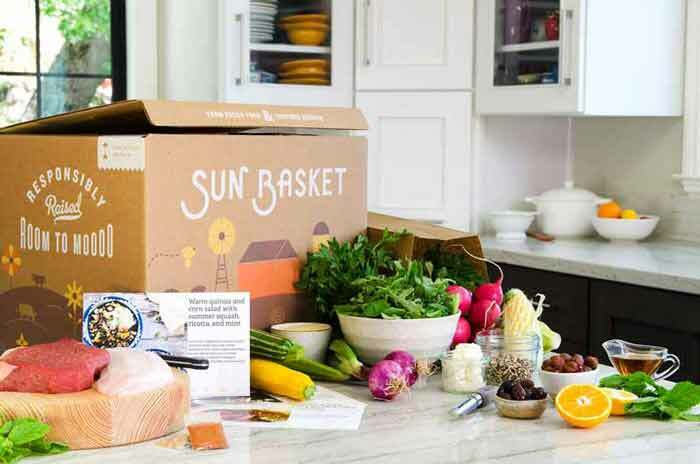 Sun Basket comes out on top, though, because with its more extensive menu options, there’s simply more wiggle room to accommodate non-traditional diets. 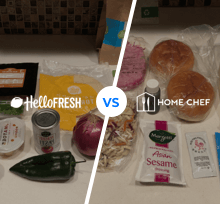 If you’re looking to get into the meal kit delivery scene, both of these companies have developed a product which will not leave you disappointed. And while both companies offer top-notch ingredients and easy-to-make recipes, Sun Basket gets the crown because of the wider variety of meals and the much higher availability of organic ingredients.